Basketball » Royal Stewart Ltd. They say you miss 100% of the shots that you don't have a hoop for. That’s why Royal Stewart has plenty of basketball goals, backboards and backboard padding to help you miss your free throws in style. When working on that perfect dunk, choose from our front mount goals, rear mount goals, and plenty more. When you picture dribbling towards the basket for that flawless reverse layup, do you picture a glass, steel or wooden backboard? Fear not, we have them all. Then check out our bolt-on pro-mold Cushion Edge backboard padding, which comes in one shade of grey, unlike that silly book. 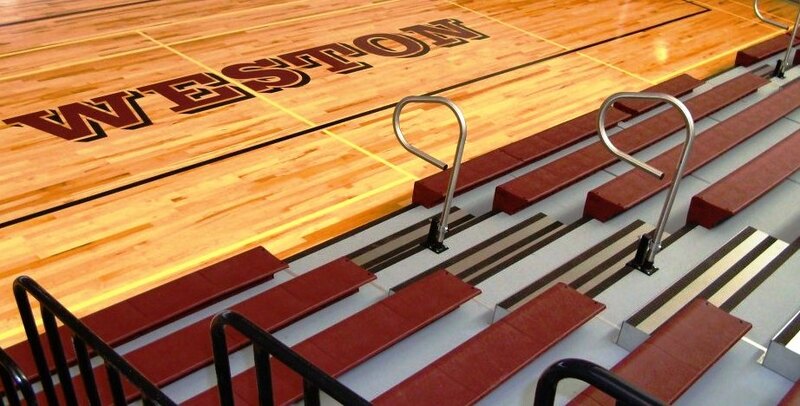 While we can't promise that your team will win, we can ensure that the glass fan shaped backboard with steel frame will certainly help your gymnasium look game ready. Did you know that the inside of a basketball is called a bladder and is made from a butyl rubber? That’s beside the point, but when you put that bladder through the basket, be it for recreation or for a sports team, you want to do it more than once. That’s why at Royal Stewart, we ensure that our hoops, like all of our products, are durable, reliable and to the highest standard. 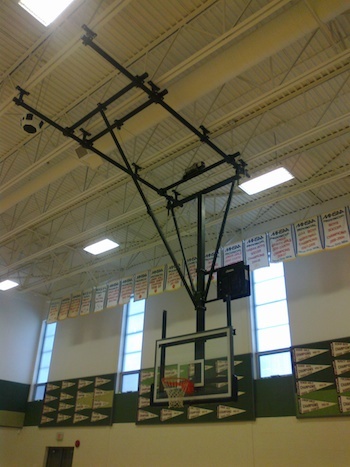 So shot after shot, our basketball goals will help make your goals possible.